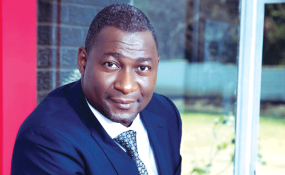 Former ICT minister, Supa Mandiwanzira (file photo). Embattled Nyanga South MP Supa Mandiwanzira, has offered to surrender title deeds to one more property worth $100 000, in order to convince the state he is not a flight risk. The ex-minister is seeking temporary release of his passport to allow him to travel to China on a business. Mandiwanzira faces trial on two criminal abuse of office charges and has already surrendered title deeds to his other property worth $100 000 as surety after he was freed on $3 000 bail. His lawyer said the minister still wants to work for his family. "If the court wants additional surety, my client is willing to surrender additional security of a value of not less than $100 000, which is equivalent to the surety he initially surrendered. "That he is willing to surrender another property shows that he intends to come back to court and stand trial," Magwaliba said. He added: "The accused business must not suffer because he is facing criminal allegations." The lawyer also supported his client's requests arguing he once handed himself to the police after flying all the way from China knowing he had criminal allegations being levelled against him. However, prosecutor Michael Chakandida of the President's special anti-corruption unit opposed the application arguing that the State now has reason to be scared the accused may abscond after former cabinet ministers Walter Mzembi and Saviour Kasukuwere failed to return to the country after being allowed to travel. Kasukuwere had already had his Nyanga holiday home forfeited by the State. "The accused is facing serious allegations that attract a severe punishment. He has already lamented that he is being persecuted and fears being jailed once convicted," said Chakandida. "If the High Court dismisses the accused person's application, he will not return for trial," said the prosecutor. However, Magwaliba said it is improper for the State to draw parallels in the matters as circumstances differ. Mandiwanzira is accused of corruptly engaging a South African company, Megawatt to do consultancy work for NetOne. He also stands accused of appointing his unqualified personal assistant to the Postal and Telecommunications Regulatory Authority (Potraz) board. As part of his bail conditions, Mandiwanzira was ordered to report twice a week at the police and surrender his passport. He also complained that the reporting conditions were disturbing his work. "Nyanga South Constituency is bout 300km from Harare and in order to represent his constituency, he needs to travel there regularly. This stifles his work as he has to travel back to Harare just to report to the police," said his lawyer. Magistrate Elijah Makomo ordered Mandiwanzira to submit title deeds of the property for consideration. The case was postponed to Friday for ruling.